Hey all, I have been experiencing a coolant leak issue and am in need of an experienced opinion. I am unable to determine the source of the leak and am hoping that some of you might have some insight. 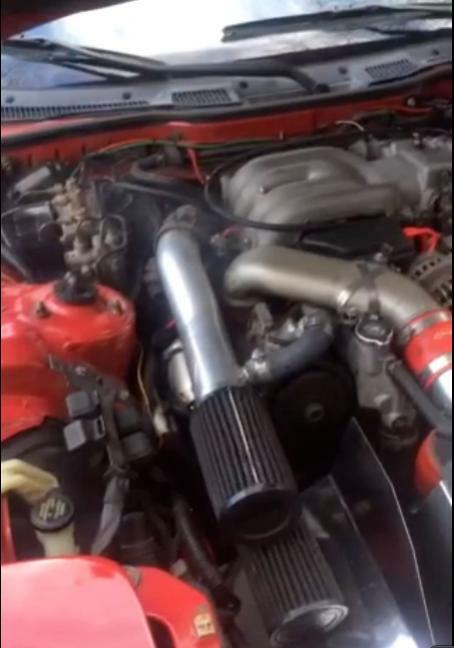 After running the car for about 2 or 3 minutes, smoke begins to rise out of the area in between the cross-over pipe, intake manifold, and cold air intake. By the sound/smell I am sure it is coolant leaking from somewhere, and dripping onto something hot and then smoking. I am worried, as the leak does not seem to be coming from any coolant lines in the area. Any ideas where the coolant might be leaking from? Also, I have a video of the car running and smoking but couldn't figure out how to post it. The posted picture is a screen shot from the video but it is kind of hard to see the smoke when it is not moving. I would be glad to email it to anyone who would like to see it. 3 things in that area that can leak. two coolant lines to the turbos and a heater core hose. Renting a cooling system pressure tester from Advance Autoparts or similar would be the easiest way to pinpoint your leak. Note: the tester that Autozone rents out is inferior to the one Advance has. Mine did the same thing right after I got the engine working perfectly. It was my turbos. The seal on the in side of them gave out after a couple days of use because they hadn't seen any action in almost 3-4 years and I was pushing 13psi. I sent them out to be repaired, rebalanced, and resealed and when I got them back the new owner of the car said they gave out in a matter of months. It could honestly be your turbos just bit the dust but you can't know until you get down under the car with a light and look around. Check the underside of the turbos for any leakage when the car gets up to temp. Just found my leak last week. So decided to get all the coolant hoses replaced. All of my hoses where going bad. 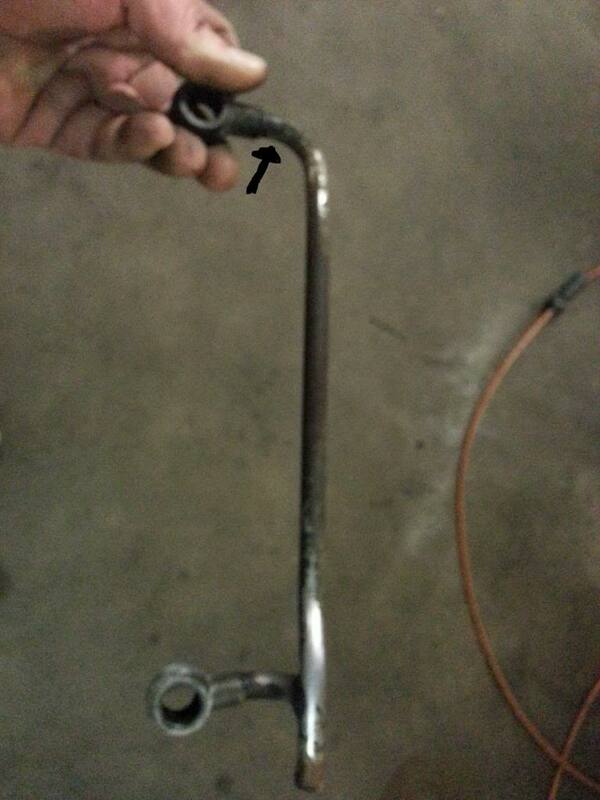 Also switched the 2 turbo coolant hoses for new ones. So looked closer with a camera. And found the leak. So i hope its one of your hoses. So I was able to tear into it this afternoon equipped with a pressure tester. 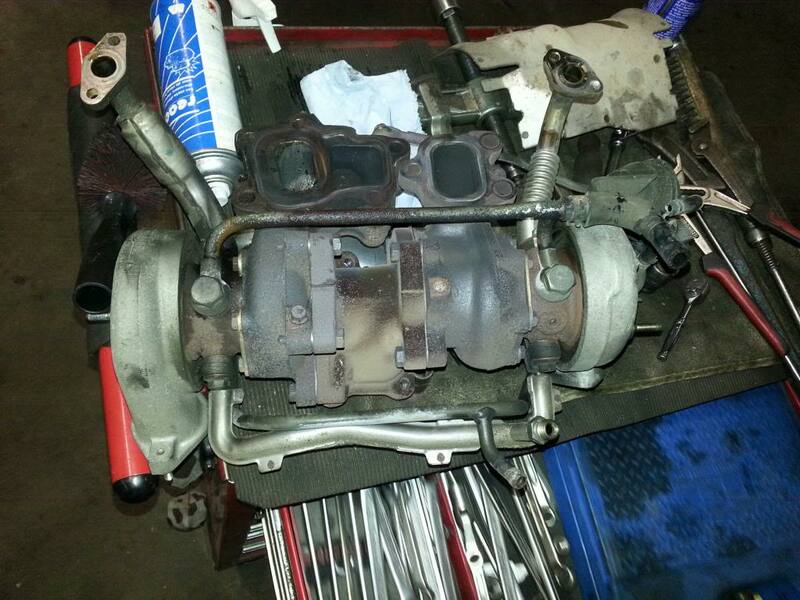 I took out the cold air intakes, crossover pipe, and air pump to be able to see as much as possible. After hooking up the pressure tester, I tried to pump it up to 13psi and couldn't get pressure to hold, it kept dropping down to around 10-11psi. However, I did find two leaks. One was the upper coolant line going to the turbos (the one that connects right by where the crossover pipe joins the Y pipe) the spring clamp had not been put back on properly when this coolant line was changed, and the other was the coolant line that goes onto the hard line coming out of the block, i think. Its kind of below the oil filter. 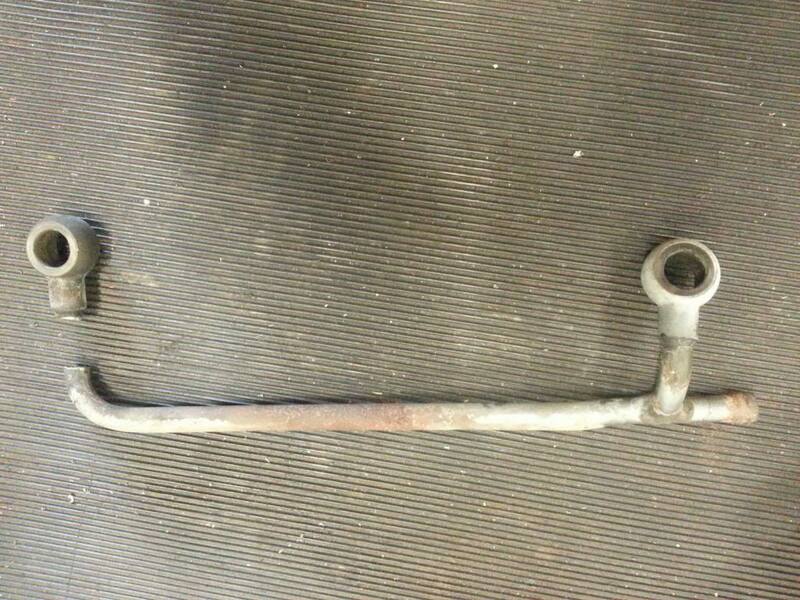 It is originally connected to a plastic quick release type thing, however that broke several years ago and is now connected directly to the metal pipe. After I tightened those up I tested pressure again, and there was no leak coming from the turbo coolant line, however there was still a very very slow drip from the other line. Any ideas on how to secure that line properly to the metal pipe? pressure still not staying at 13psi. However, I thought the turbo line was the culprit so I decided to throw everything back together and warm up to operating temps. Still smoking..... and I know it is not either of the turbo coolant lines I checked them after I warmed the car up, no signs of moisture. As far as the heater core lines, do you mean the two that are right by the firewall, under the ABS pump? Because those do no have any leaks. Anyone have any other ideas on where I could try and check? I'm really hoping I don't have to tear the turbos out, I have never done that and it kind of intimidates me, and there are no good shops in my area. Im going to pressure test again in the morning and see if i overlooked something, Should I be able to see a leak coming from the turbos themselves with a pressure tester? Where is the heater core hose you are talking about located? and can it easily be inspected (atleast visually)?